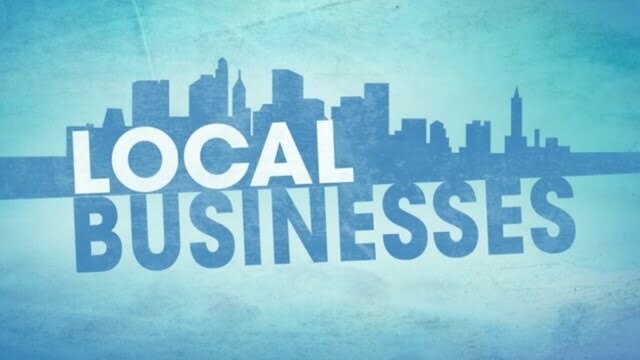 Why Do Local Businesses Need a Website? As a local business, you may think that having a website is an unnecessary expense. Just because your business caters to the community does not mean you should continue to think on such a small scale. The internet is driving business to companies locally and worldwide. Consumers are internet savvy and want quality products and services. Below is a variety of reasons that local businesses do need a website. As stated above, customers are internet savvy. Therefore, they research all available options online. To them, it is not always about the best marketing tactics or biggest names. Your local business could be overlooked because you simply don’t have a website presence. With a website, your local business could be chosen because you have product on hand for the customer. Another important reason to have a website is, so you appear to be a credible business. Just about every business has a website. It is affordable. Although a customer may drive right past your storefront, they may still Google your address to see if you have a verifiable website. Years ago, it seemed to have been more important to verify if there was a physical address. However, now consumers want to verify your phone number, research your company history, and look for customer testimonials. A lack of a website to many seems suspicious. It appears you may be hiding something or starting fresh. A website is a way for you to prove your authority in any given industry. Providing an informative blog on industry specifics, your product, and your service is the best way for a person to feel you are legitimate. Appearing to be an expert is an outstanding way to gain credibility. Once you’ve done so, the sales can soar right in. Just about any normal business has standard business hours. You cannot possibly be there for customers 24/7. However, your website, on the other hand, can be there to offer information about the services you provide as well as provide the product to ship out. A website is your brand. You can easily integrate an e-commerce system so customers can add products to their shopping cart, check out, and have the product shipped to them the next business day. The beauty of having a website also means that your business is not constricted to just your local area. You are open worldwide to customers. They may want a product with parts or ingredients that only you provide. They may be more favorable to your mission. Your product, even with shipping expenses, could be more cost effective as well. A website is the best way to expand your business and reach more customers. A decade or so ago, sure having a website meant shelling out a lot of cash for website design and upkeep. However, today, designing a website is as easy as drag and drop. You do not need to hire an expert to upkeep your site or make changes. You can check out the free videos on YouTube to learn how to do exactly what you need. However, if you feel you still aren’t tech savvy enough or don’t have the time, there are plenty of freelancer websites available to hire an inexpensive, but efficient designer. Finally, consider how you’ve been spying on your competitors lately. More than likely, you are researching them online. They have a website and the best way for you to remain competitive is to have one of your own. It is proven that you do not need to reinvent the wheel to bring in customers. You mimic what others are doing. Surely, your competitor’s sales have not slowed down having a website – just increased. When your customers search for you to research your product and service, it is likely that without a website your competitor will appear. This entices them to want to research your competitor further and see what they have to offer. The same goes for a potential customer simply seeking information about a product or service. If you do not have a website, they naturally will find information about products and services your local competitor provides. Therefore, in conclusion, having a website for your local business is the best investment of your time and money. Having an online presence will not only lead to increased sales, but more acknowledgement in your own community.